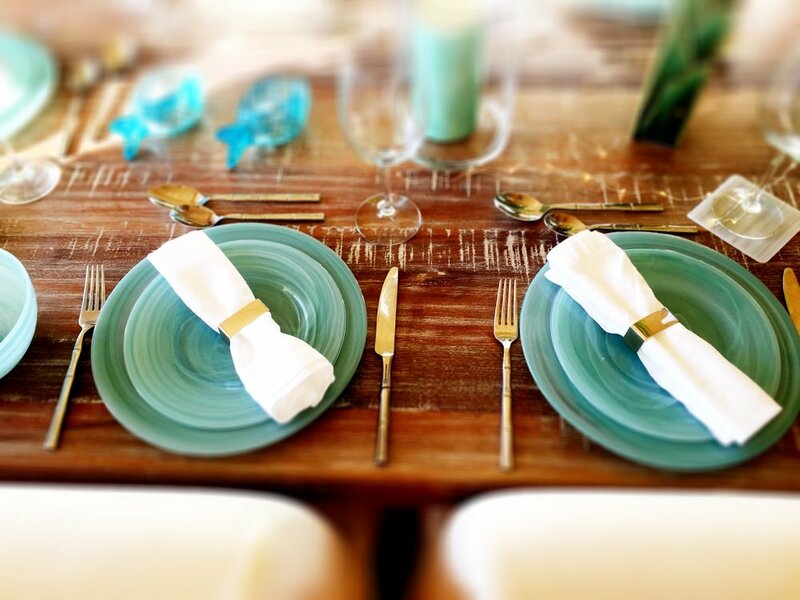 together we will prepare dinner in our ocean view gourmet kitchen on Queen Emmas Bluff. followed by a shared meal where the conversation will be centered around insider island information. ambience + style guaranteed. it's like having dinner with your best friend who happens to live in paradise. living on an island with endless summers shopping local + organic + fresh comes naturally. we have been living + enjoying farm to table for years. together we will explore the seasonal fruits and veggies and pick the freshest ingredients for tonight's dinner. not only will you learn where to go - but more importantly when to go. as with everything in life timing is everything!